Texas lawyer Joe Jamail is the lead lawyer for Clear Channel, which has sued the banks that are trying to back out of financing the acquisition of Clear Channel by a pair of private equity firms. Clear Channel claims the banks hesitation amounts to tortious interference with the acquisition agreement. Although there’s little—or perhaps no—precedent for this kind of case, the banks being sued have reason to be afraid. You see, Jamail famously won a $10 billion verdict for Pennzoil in a tortious interference suit in against Texaco. Pennzoil had agreed buy Getty Oil in 1984, but Texaco swept in and bought Getty before the deal had closed. The massive award forced Texaco into bankruptcy. At the time it was the largest judgment in American history. Pennzoil wound up collecting only $3 billion after Carl C. Icahn, who was Texaco&apos;s largest shareholder, helped negotiate a settlement with Jamail. Before the settlement, the two sides spent years battling each other. “The fight has been punctuated by thousands of hours of fruitless negotiations, legal wranglings, dashed hopes and charges by executives of both companies accusing the other side of greed, arrogance and duplicity,” the New York Times said in 1987. So how did Icahn resolve things with Jamail? 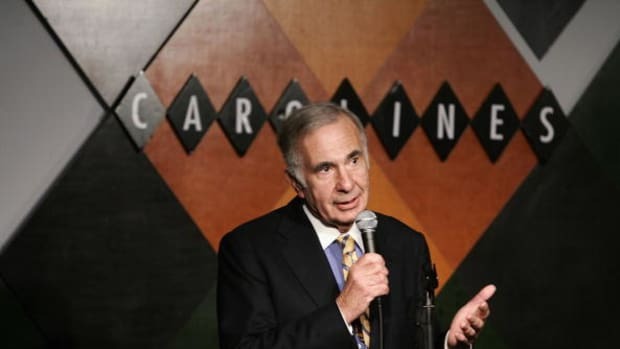 After the jump, Icahn reveals all in a standup performance at Carolines Comedy Club in 2003.